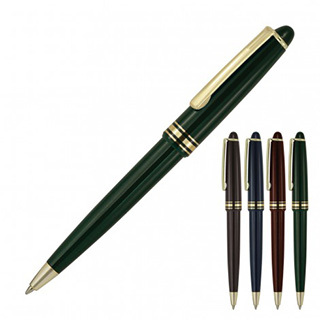 The Pierre Ballpoint brings the style and panache of French fashion to a plastic promotional pen. Writing in quality black ink is a luxury ergonomic experience with push action, retractable black ballpoint and a 1.0mm nib. Print your logo or brand by screen or pad print to the barrel, and pad print to the cap allows a variety of options to be considered for your corporate event or executive promotion.